Yagi Antennas are one of the most well-known directional antennas in use throughout the world and are used for communications in the medium range of three to five miles between two points. They can also be used as a bridge antenna to connect clients to an access point. The original inventors of the antenna design were Japanese inventors by the last names of Uda and Yagai who came up with the original design in the 1900s. Yagi antennas remain in widespread use today and are also known as beam antennas and are used by amateur radio operators, CB networks, and cellular phone applications. 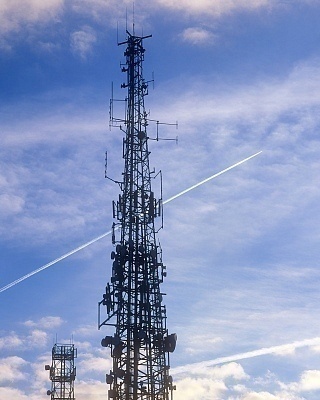 A similar design to the Yagi antenna found throughout the United States are referred to as Log-Periodic antennas. Yagi antennas have two to three straight antenna elements which are set to a length of approximately half of the electrical wavelength they are designed to support. The antennas are designed as a balanced type but can also be unbalanced depending on if they are used with a balunat at the feed line joint which joins the drive element of the antenna. The Boom portion of the Yagi is the horizontal bar commonly seen on the antenna with the Elements consisting of the smaller rods that are supported by the boom of the antenna. The Elements are normally set to the vertical position with the rear of the Yagi consisting of the longer Elements. The signal output of the antenna comes from the front edge or end of the boom of the Yagi and can range from 20 to 90 degrees in width with the longest one having the furthest reach or gain on the antenna. What is the Benefit of a Yagi Antenna? Gain is commonly measured in decibels which is the measure of a signal where it is desired. Since Yagi antennas are directional, they focus all of their signal to a cardinal direction resulting in increased gain over an antenna that is dispersing energy in a 360 degree circle such as an omnidirectional model of other antenna designs. Other benefits of the Yagi antenna include good range, and ease of aiming the antenna compared to other directional dishes and designs. 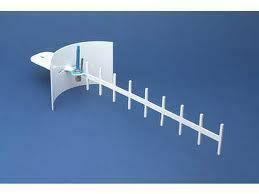 What Are Disadvantages of Yagi Antennas? The biggest disadvantage of the Yagi design is that the antenna is obtrusive or large for the range achieved by the antenna. The antenna also is limited to having a gain in the range of the 6 to 18 dBi range which can sometimes prove limiting in some remote applications. It is my understanding that the gain from a Yagi antenna occurs because of the induced emf in the last director re-radiating because it has nowhere else to go. This in turn induces a secondary emf in the next director to add to the incoming signal. This process continues until the dipole is reached where the energy has a path to leave the antenna down its feeder. I have not seen this described anywhere and would be grateful for confirmation of this theory. 306 queries in 0.521 seconds.